If you are planning on doing any suspension work to your vehicle that involves removing coil springs, you will need a strut spring compressor. The purpose of this compression tool is to reduce the size of the springs so they can be easily removed. The best strut spring compressor is the Performance Tool W89322 Professional, which will work with the majority of vehicle applications and is made from heavy duty forged steel for extended durability. As the coil spring becomes compressed using a spring compressor, there is a serious amount of force. Many people describe this as a “ticking time bomb” and from a safety point of view, its crucial that you have a heavy duty tool for the job. It is important that you go for a heavy duty strut spring compressor due to the amount of strain the spring is under. It is known for many lightweight and cheap versions to fail under the pressure and gradually release the tension. There are many forms of spring compressors that can be used by the average car owner to professional mechanics. For those that plan to compress a spring from a large vehicle such as a SUV, it is recommended to buy a heavier duty compressor. Spring strut compressors are an essential piece of machinery for any work you do that requires removing a coil spring. Below is a list of the best strut spring compressors that will ensure safety and provide an easy method of removing the spring. The Performance Tool W89322 is an affordable professional tool that is simple to use for the average car owner wanting to replace their coil springs. It will work with the majority of automotive cars and light trucks. Overall, the Performance Tool W89322 is the best strut spring compressor as an all rounder that can be used both professional and by an amateur mechanic. It is simple and safe and ticks every box for what you want this type of tool to do. Overall, the OTC 6494 Clamshell Coil Spring Compressor is a mid range device with particular features to making it easier to compress springs. You will be able to have good control with even pressure when compressing, which makes it safer to use. The Shankly alternative is a heavy duty spring compressor designed for large cars, SUVs and trucks. Compared to the alternatives, it is more expensive but you do get a more rugged and durable design. Many mechanics hate using spring compressors because they are known to be dangerous if not setup correctly. The Shankly features lower security jaws and adjustable safety bars to ensure maximum safety when working with suspension. Overall, it is the best heavy duty coil spring compressor that is easy to use and works on much larger vehicles than the alternatives. The Branick 7600 is an all steel construction with heavy duty acme threads and it can be mounted in a range of different setups in your garage. It is the ultimate coil spring compressor on the market and more suited to professional mechanics or car owners that change springs regularly i.e. lowering springs/coilovers. The ABN model is the cheapest strut spring compressor that you will find with enough strength to handle the majority of car springs. The kit itself may look small but it is constructed with forged hooks and center screws that are hardened for strength. Overall, the ABN coil spring compressors are the best option for those on a budget that may only use them a few times. They have a wide range of compatibility, comes with a storage case and built to last. Strut spring compressors are an essential tool for anyone that is planning on removing their springs. 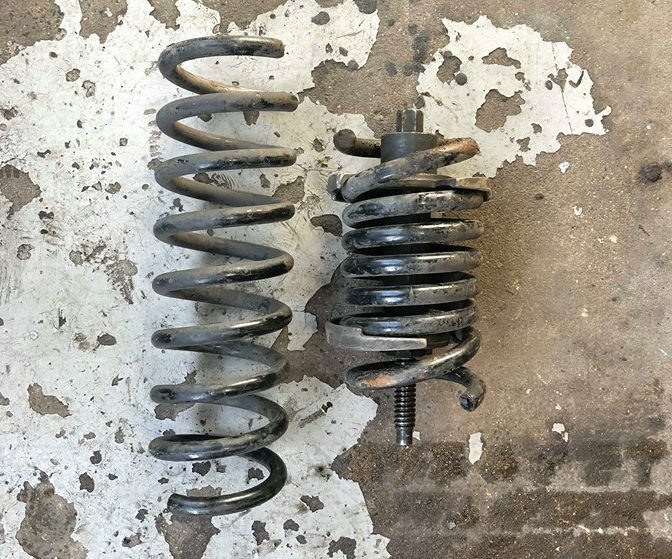 Removing your spring is a common practice for those people wanting to lower their cars with new springs or coilovers as well as any other suspension work. 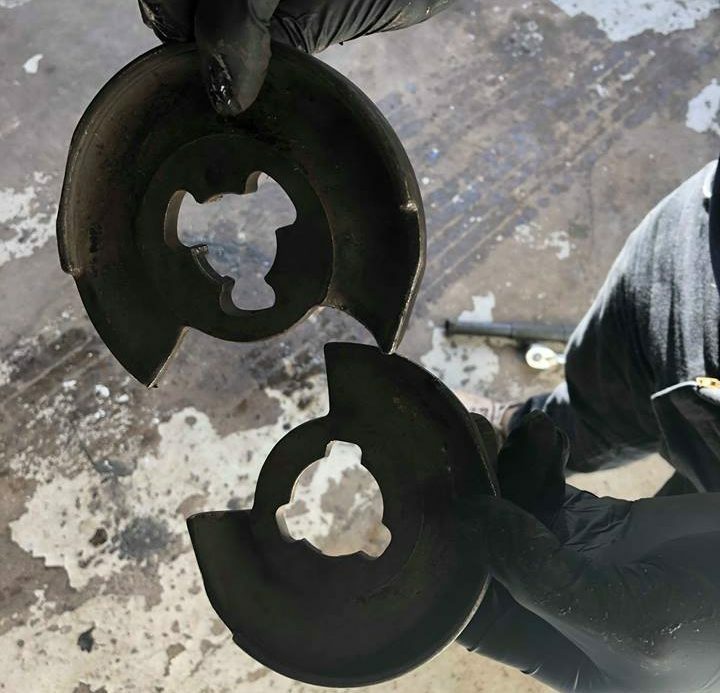 Choosing between the various coil spring compressors can be tricky but it all comes down to the amount of use and the budget you are ready to spend on the tool. If you own a large vehicle or SUV, you should really opt for a heavy duty spring compressor due to the amount of force that it will require. To help you make an informed decision, we have compiled a complete buyers guide for the spring compressor tool as shown below. The main reason for buying a spring compressor is so that you are safe when removing the spring. If you are using a makeshift compressor, you are not certain of the strength it can hold before it could potentially let go of the spring. If a spring was to shoot out, it could cause destruction and serious injury if the spring were to hit you or someone around it. Most strut spring compressors have strong hooks that can be tightened to ensure that this will not happen. For larger vehicles such as SUVs and Trucks, the springs are much stronger and thicker. This means you should invest into a heavy duty spring compressor that can handle the strength of a compressed spring. The Shankly and the Branick are both more than capable of holding the pressure of these larger springs. There is a serious risk of injury if you do not use a spring compressor correctly. There is so much force once the spring is compressed, so its vital that you skip no important steps. The majority of strut spring compressor will require various sockets, so have your automotive socket set nearby to ensure you have the correct fitment. Using the screw type of spring compressor, you will see the socket required at the bottom, as shown in the below photo. Depending on the type of spring compressor that you are using, you may be required to use hooks or plates. Therefore, you will need to place the compressor in the middle of the spring and then locate the hooks or plates. Once you have located the compressor tool and connected to the hooks or plates, you are now ready to begin. 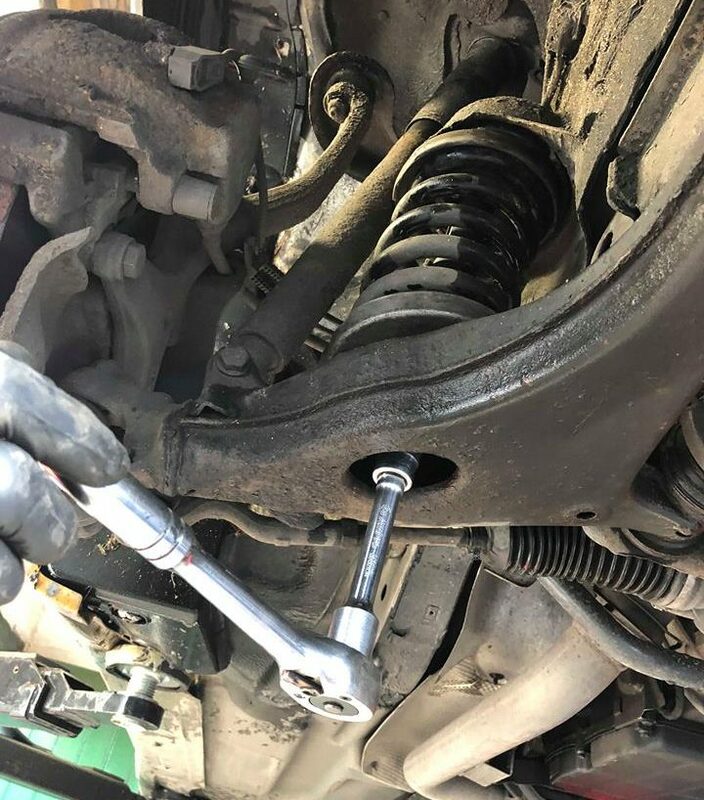 Using a ratchet to begin with or a breaker bar, begin to wind the compressor tool downwards, thus compressing the spring. Once the spring has been compressed as far as it can go, it is now time to remove it. Before attempting this, you will want to ensure it is safe to do so. Therefore, check that everything looks stable and as you are moving it around, the compressor is holding the force of the spring. You may be required to use a crowbar to push the control arm downwards. This will provide you with more room to pivot the spring and get it out. As you can see, the result is a compressed spring, which is almost half the size of the original. Once you have got the hang of using the tool, it will become far easier. However, if you are using it on a regular basis, its definitely worthwhile investing into a professional tool, which will make things far more easier. Although the spring compressor is very durable and the majority are made from forged steel, its important to maintain it appropriately. 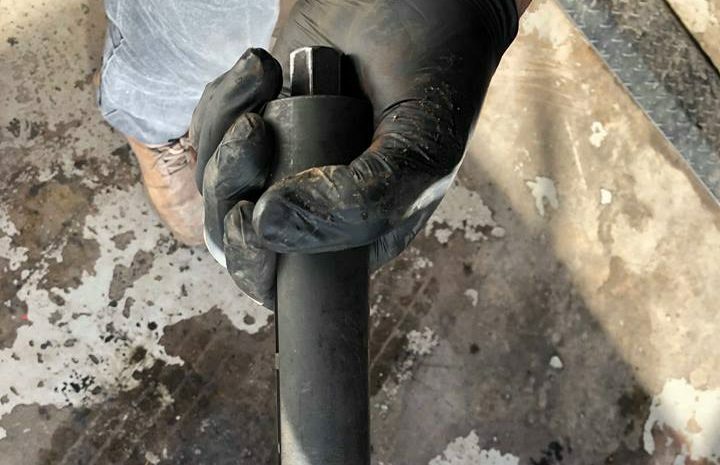 We highly recommend that you ensure the threads are properly lubricated. To do this, use plenty of lubrication product on the thread and then screw it in and out of the compressor by hand. This will ensure that the tool will last for many years to come and not cease up halfway through a job. As mentioned earlier, if you are removing springs quite frequently, investing into the best spring compressor you can get your hands on is highly recommended. This mean that a higher quality steel will be used in the construction. You may also find the hooks or plates are less bulky, which makes fitting them in place far easier. Many brands also develop their strut spring compressor tools to be used with an impact wrench. This can drastically improve the speed at which you work and you will find many professional garages using this type of tool. Of course, it does come at a premium price but definitely something that is worth considering. Another important factor to discuss is that you may have to remove certain parts to gain access. For example, removing the shock absorbers can make removing the spring once compressed far easier. We highly recommend checking the vehicles documentation for the suspension setup prior to beginning the job of removing the spring. Not all springs are the same size with some being far wider or having larger springs in general. For example, a small passenger car is going to have much smaller springs than a large SUV or truck. Therefore, you will need to buy an appropriate spring compressor for you type of vehicle. For example, the cheap ABN recommendation within this article may not work with most large vehicles. With the correct tools, working on the suspension of your vehicle is far easier. Using a strut spring compressor tool is an essential for almost any job that requires you to remove the spring. Therefore, owning your very own makes sense and as you can see from our tutorial, it is fairly simple to use too. All of our recommended spring compressors provide a solution for heavy duty use, professional use and those on a tight budget. If you are using the tool for the first time, be sure to take your time and ensure everything is connected properly for maximum safety.